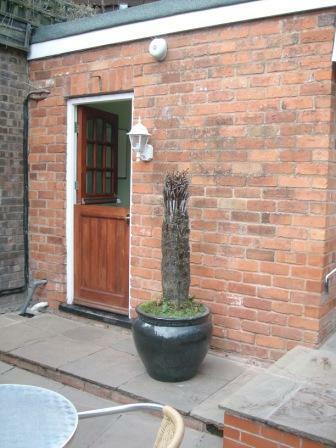 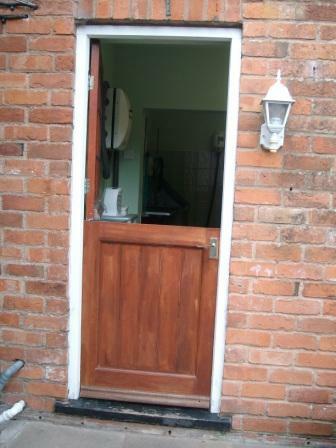 Salon has half door to prevent escapes! 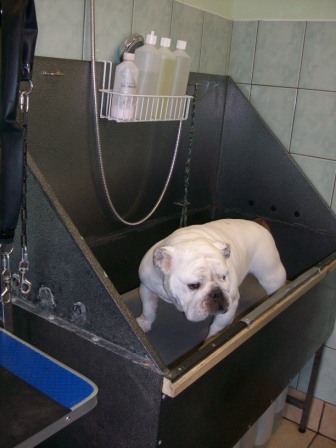 The bath with adjustable height platform for different sized dogs. 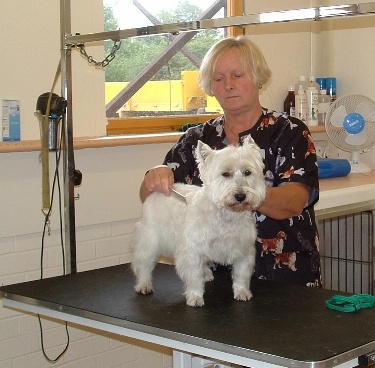 All washed ready to come out. 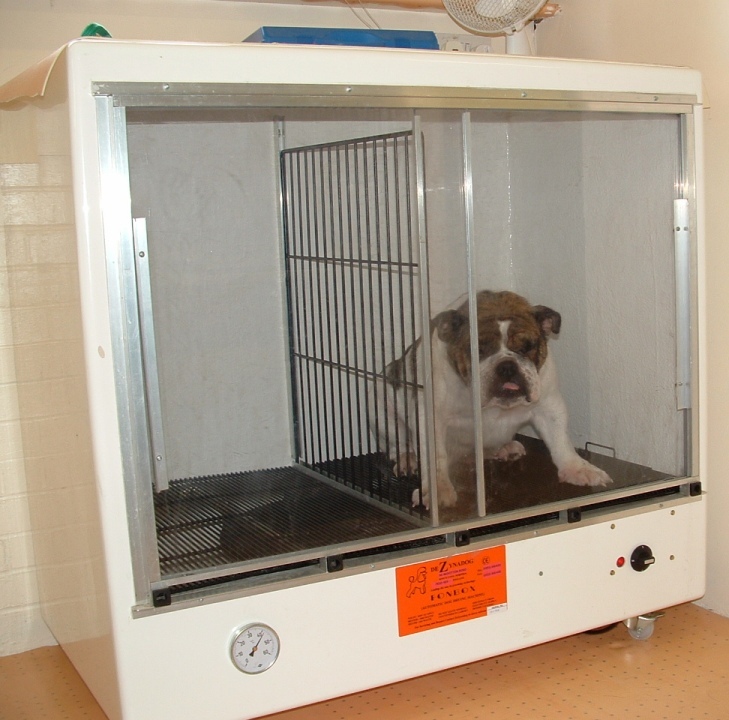 Drying cabinet for dogs who dont like a direct blower on them. 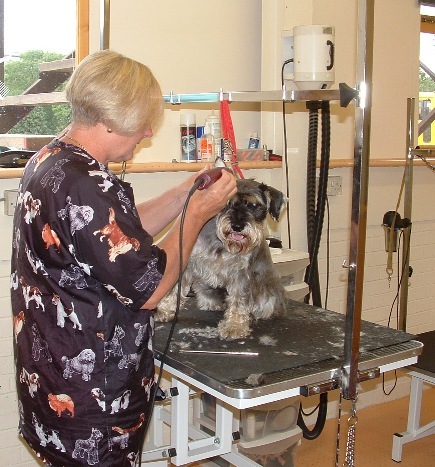 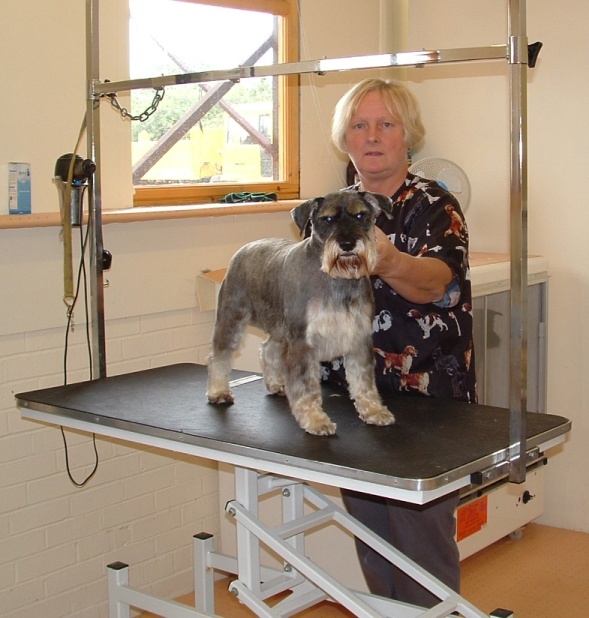 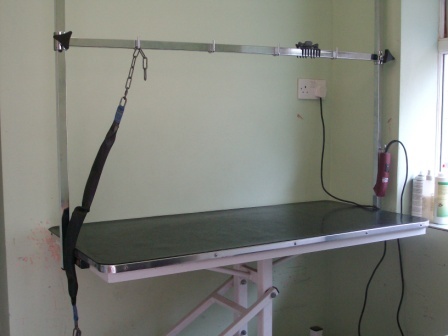 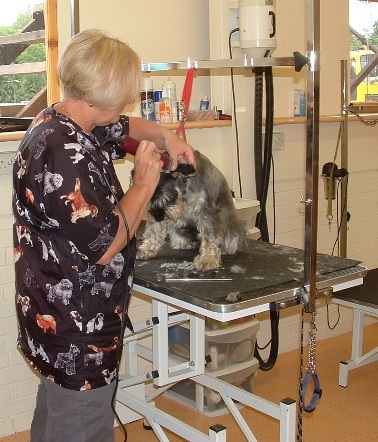 Hydraulic grooming table, lowered and highered so easy for large dogs to get on and off without risk of injury. 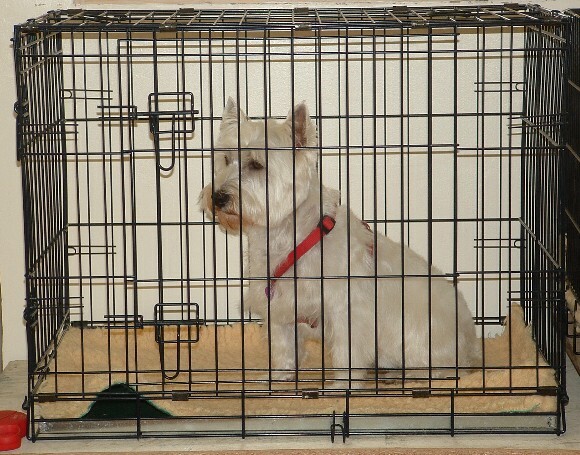 Waiting for his Mum to collect him. 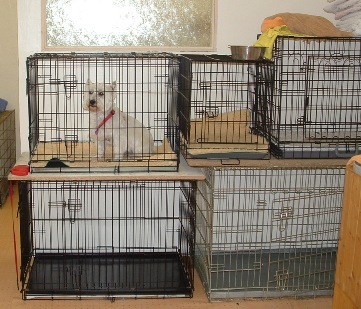 Different sized crates for dogs to await collection in safety.